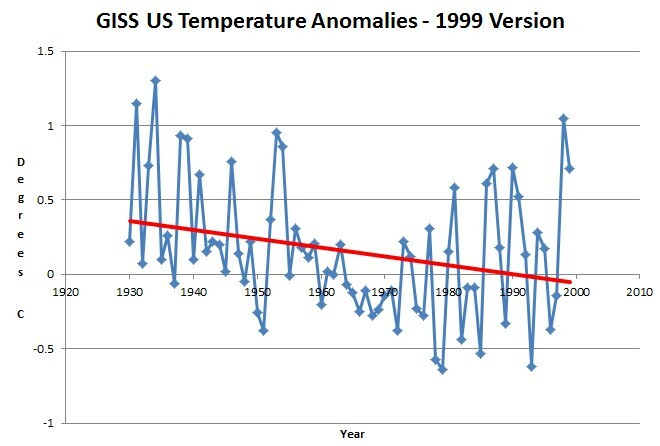 Temperatures in the US declined from 1930 through the end of the 20th century. 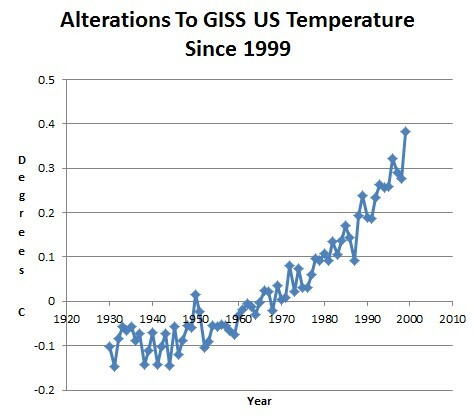 But that just wasn’t going to do, so NASA created a hockey stick of data tampering. Presto! Tamper with the data, put an official looking government seal on it, and release the graph without any warnings or disclaimers that they have reversed the cooling trend seen in the thermometer data.